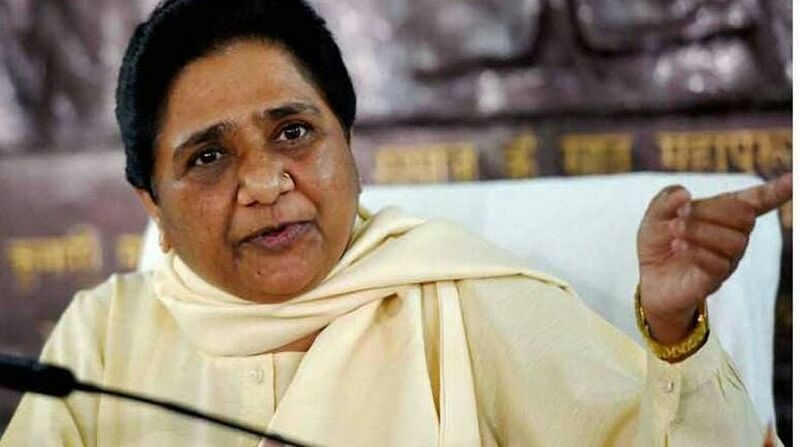 Bahujan Samaj Party (BSP) chief Mayawati on Monday indicated that her party might align with Samajwadi Party (SP) in the 2019 Lok Sabha elections after the one-time bitter rivals helped defeat the BJP in the Gorakhpur and Phulpur parliamentary by-polls. According to the official sources, the four-time Uttar Pradesh Chief Minister told party legislators that such an alliance was necessary to “rout the common and bigger adversary, the Bharatiya Janata Party”. She also warned party members not to get carried away by the propaganda unleashed by the BJP and the Rashtriya Swayamsevak Sangh (RSS). “Whatever negative is being said by the BJP is nothing but its fear of our coming together so stand guard,” Mayawati said. A close aide told IANS that she has also tried to ease fears that following the defeat of her party candidate in the Rajya Sabha biennial polls, the SP-BSP bonhomie will end. Mayawati noted that that alliance was not for personal or party gains but for the larger goal of vanquishing the “evil and cruel Modi sarkar”. She also slammed the BJP’s recent attempts to reach out to the Dalits, terming it as hogwash, aimed at confusing the support base of the BSP. Both the SP and BSP have been trying to cement the historic differences that has existed for the past 23 years. SP chief Akhilesh Yadav has been thanking Mayawati after the Gorakhpur-Phulpur wins.